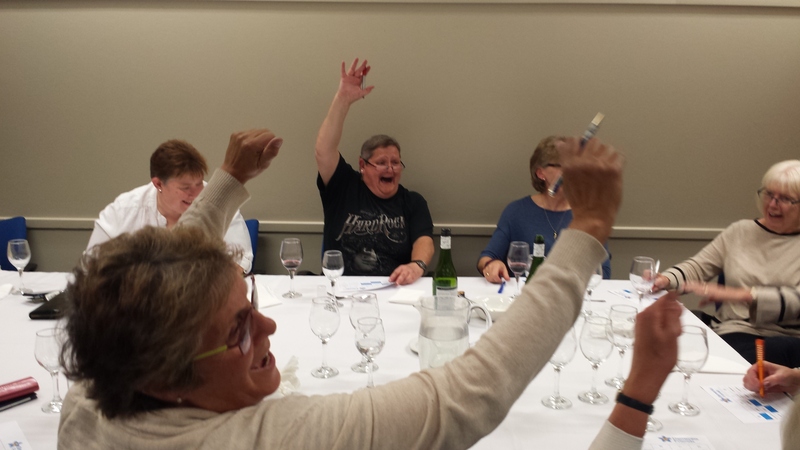 Champions from all over the country gathered to be United against Dementia at our very first Champion Conferences. Across both events over 150 enthusiastic volunteers attended workshops to enhance skills and to hear more about the future for Dementia Friends and Alzheimer’s Society. 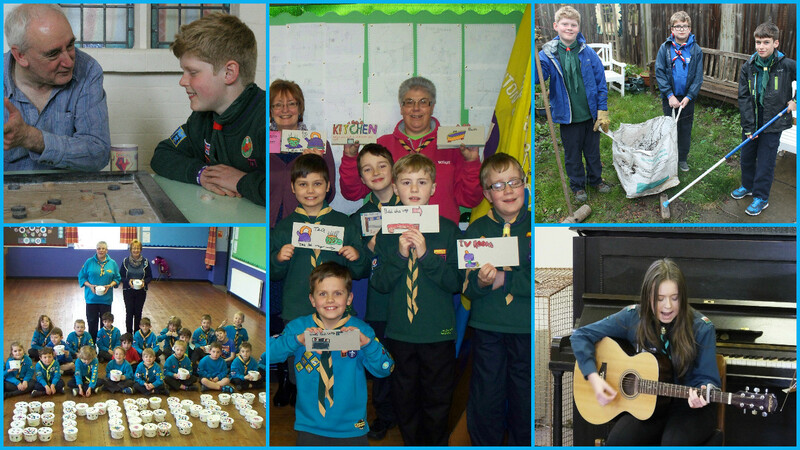 We find out how Dementia Friends Champions are dedicating their time to creating more dementia-friendly communities. 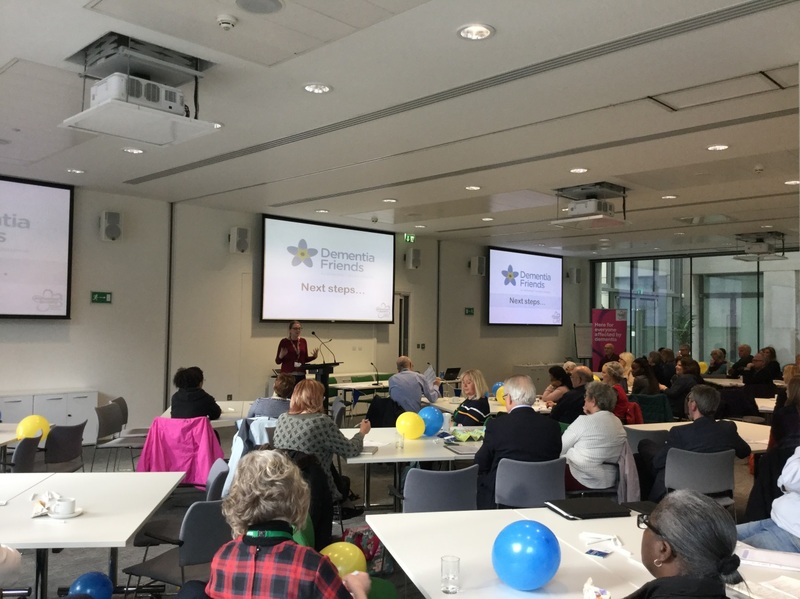 A summary of the day’s events included key presentations on ending isolation through the Side by Side service, reaching different audiences, making businesses more dementia-friendly and exploring fundraising ideas as a volunteer. Workshops were split between an inspirational talk from Alan Mills, who is living with dementia, and presentations discussing Alzheimer’s Society new brand. We all find ways of engaging with our communities and it is dependent upon on what works well for your community. It is important that we continue to be United against Dementia. It is fair to say our first conferences were a success! 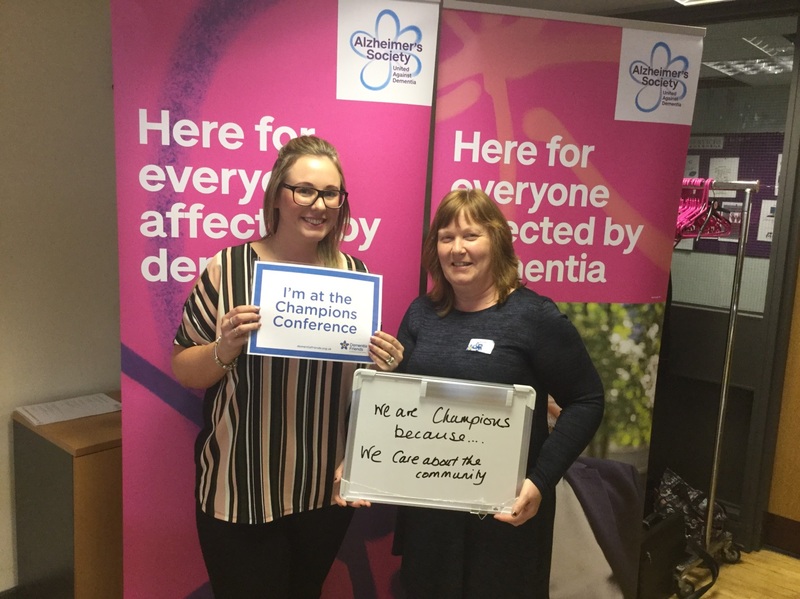 This entry was posted in Champions Corner, Dementia Friend Sessions, Home, Inspiring Stories, Why A Champion on April 5, 2017 by Dementia Friends. 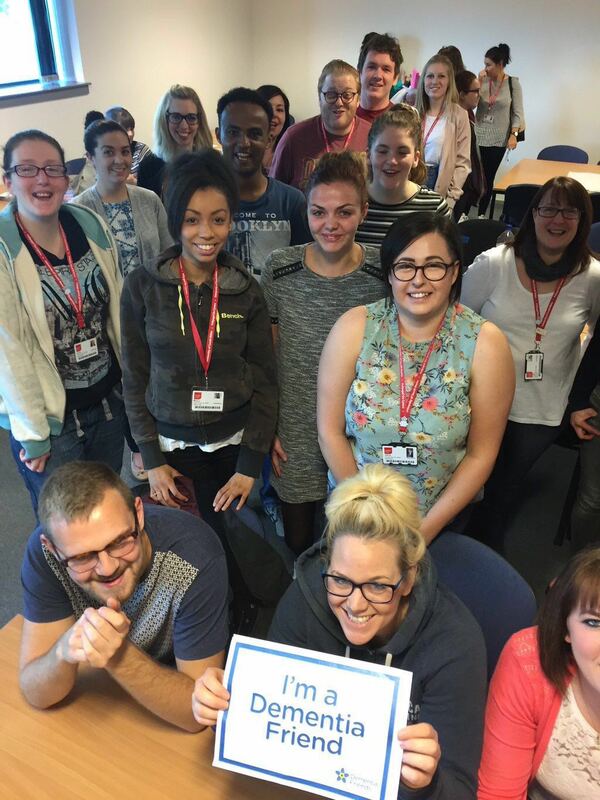 Healthcare professionals at universities across England and Wales are encouraging their students to become Dementia Friends as part of their studies. We chat to the Dementia Friends Champions who are delivering the Sessions, to find out what kind of impact they are having. This entry was posted in Champions Corner, Dementia Friend Sessions, Home, Inspiring Stories, Why A Champion on February 2, 2017 by Dementia Friends. 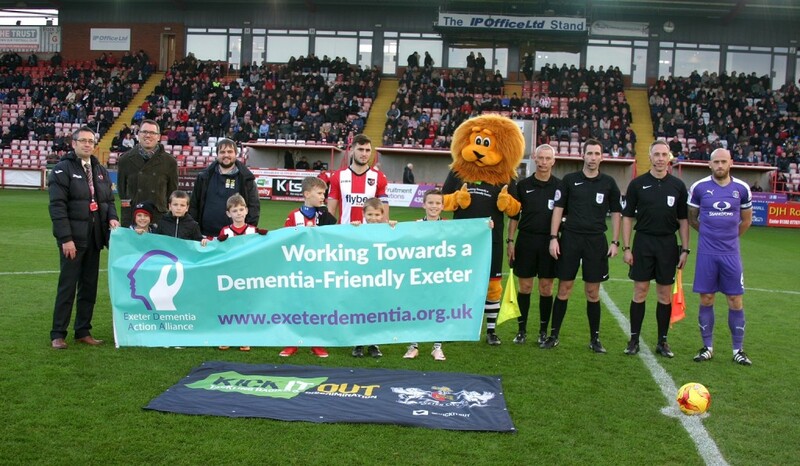 As part of Exeter City Football Club’s commitment to the Exeter Dementia Action Alliance (EDAA) the One Game One Community match event was held at St James Park. The event enabled over 40 people living with dementia and their families to enjoy complimentary tickets to the Exeter v Luton Town game. Gina Awad who leads EDAA delivered two Dementia Friends sessions to staff at the Club, one in the Soring and the second as part of #TeamDementiaFriends campaign. 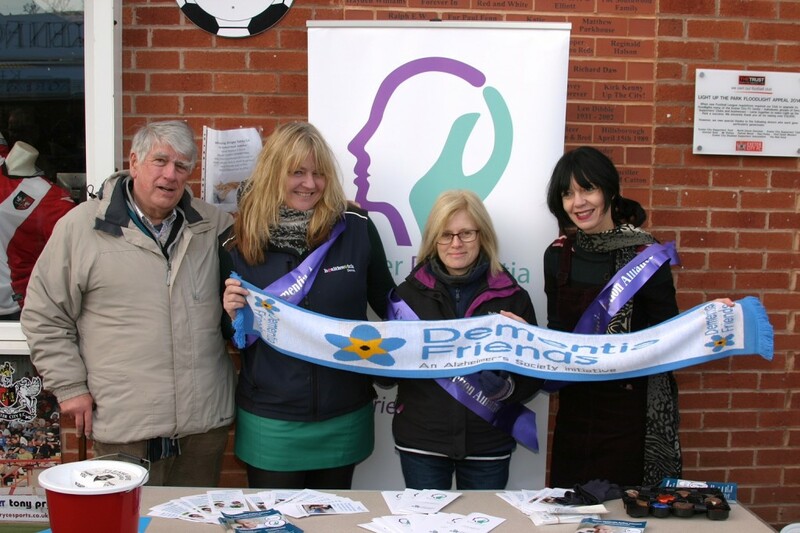 The Club were inspired to go the extra mile recognising the need for further dementia awareness in the community. A summary of the event included; all the players sporting t-shirts for their warm up illustrating “working towards a dementia friendly city’, EDAA had a stand in Red Square raising awareness, use of the community Hospitality box for specially invited guests, a feature in the programme and a bucket collection. In addition at half time Exeter City Council officially joined as the latest members of the alliance, honouring their commitment and action towards a dementia friendly city. “It was such a lovely day yesterday. My father cannot remember how long it is since he last saw a football match, but he thinks it is at least 60 years. It is the only time my father and my son have had ‘man time’ together as well. For me, the day is a memory that I will always want to retain, along with the photos and the Exeter City FC hat I bought my father. He simply loved it every moment of the day, the hot dog, the hot chocolate, the game and spending time with family. My son, the football fan, is now trying to get the rest of the family along to a game to enjoy the atmosphere, so maybe Exeter City FC will have some new fans as well. Thank you for making a magical day for us all”. 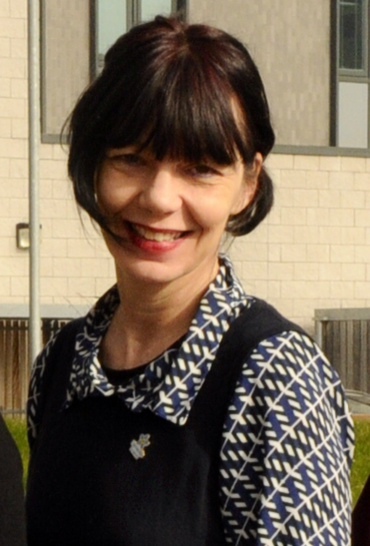 Gina said “we have received some truly heartfelt responses as a result of the event and this illustrates how meaningful our work really is for people living with dementia in the community and their families. What was wonderful to see was the uptake from local care homes and their residents a focus that felt important to pursue”. All that was needed for a perfect end to the day was a goal from Exeter City but it wasn’t meant to be! 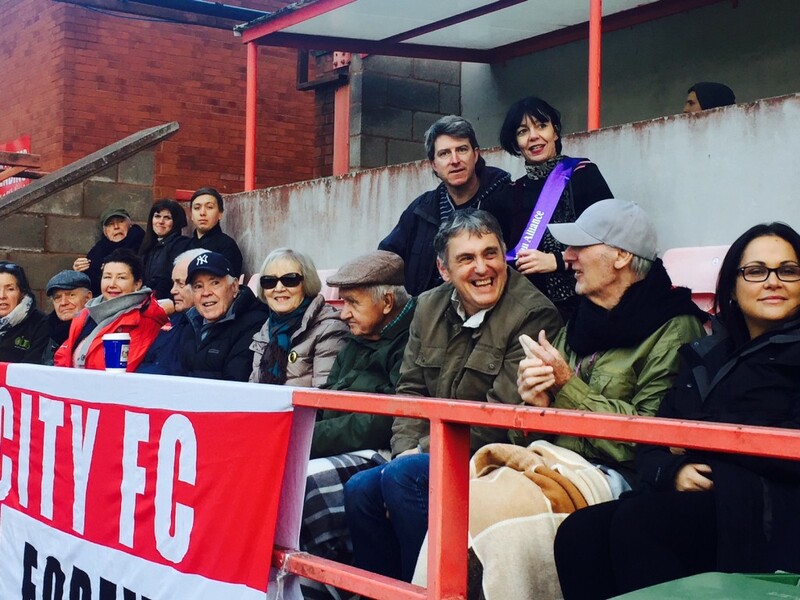 This entry was posted in Champions Corner, Dementia Friend Sessions, Dementia Friends News, Home, Inspiring Stories on December 16, 2016 by Dementia Friends. This award celebrates the action taken by Dementia Friends Champions to raise awareness, challenge misconceptions and inspire change through running Information Sessions. Gina’s work in the Exeter area to help support and empower people affected by dementia has had a real impact on the community. Since becoming a Champion back in 2014, Gina has reached over 1200 Dementia friends by delivering nearly 100 Sessions, both public and private. Gina’s passionate style has inspired a cross section of organisations to not only hold Dementia Friends Sessions but to go on and take further actions that are making a big difference for those affected by dementia. For example, Gina has formed and developed partnerships with the local football club, cinema and a number of GP health centres in addition to many others. 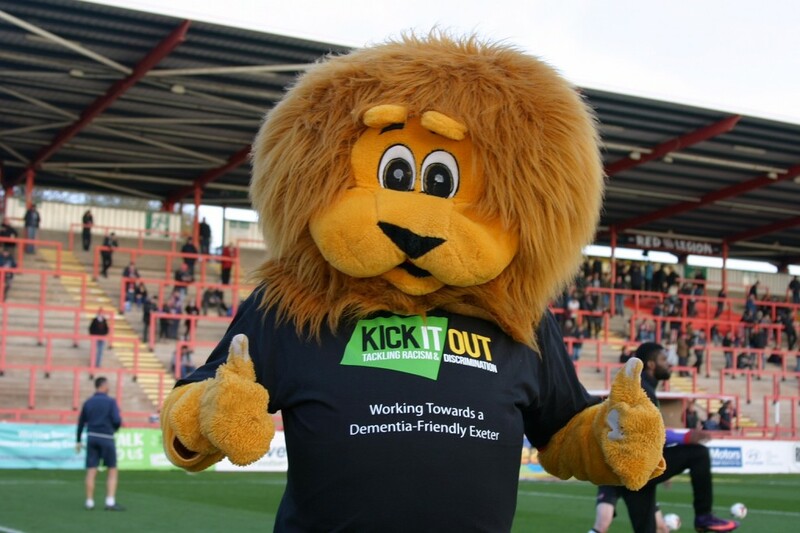 The results have seen dementia friendly cinema screenings, signage adjustments and a dementia awareness day booked for later this year at Exeter City Football Club. Gina believes the Dementia Friends initiative has been the fundamental resource in creating local changes and inspiring so many in Exeter. “You are a true advocate for people living with dementia and their families. Thank you for all your work to improve matters for us”. This entry was posted in Champions Corner, Dementia Friend Sessions, Home, Inspiring Stories on November 15, 2016 by Dementia Friends. Dementia Awareness Week 2016 is done and what a week it was! 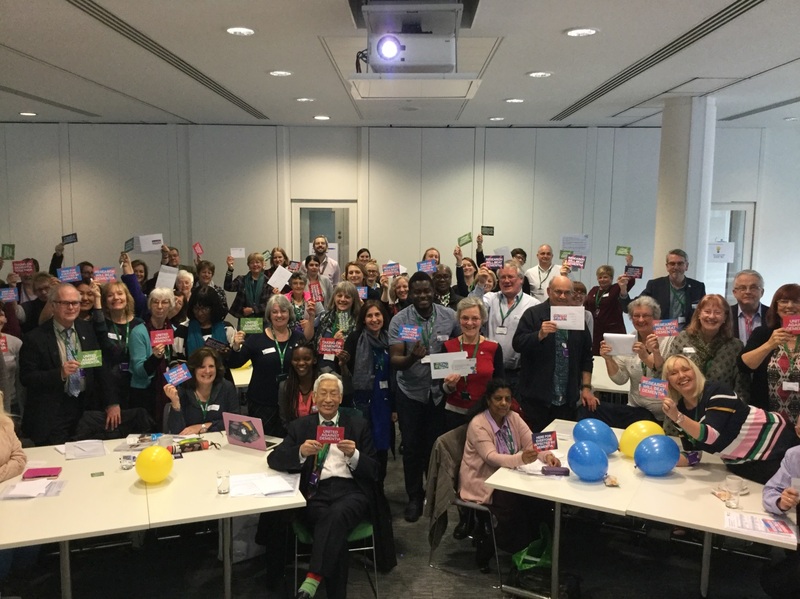 Dementia Friends Champions across the country were running thousands of Information Sessions, organisations were encouraging their staff to get involved and thousands of people across different communities were becoming Dementia Friends and turning their understanding into action. 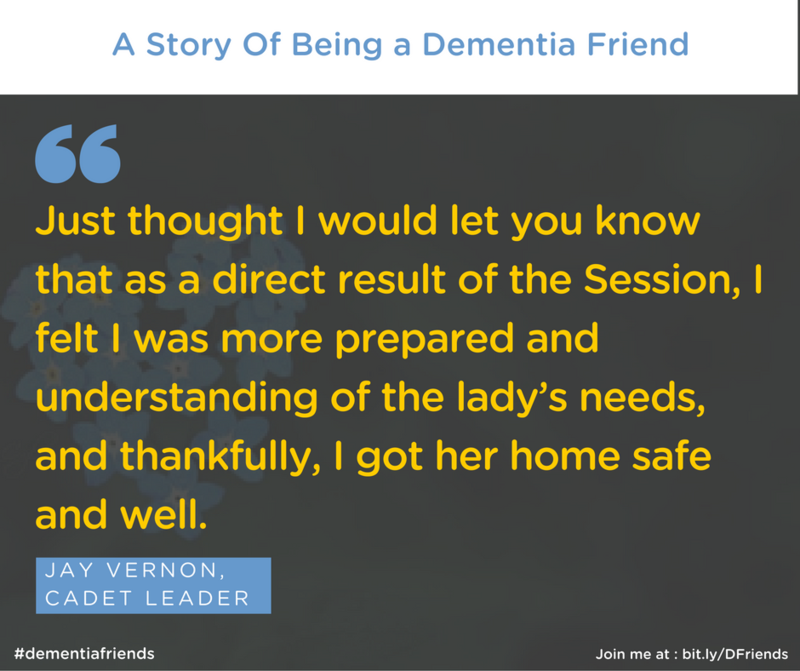 This entry was posted in Dementia Friend Sessions, Dementia Friends News, Home on May 23, 2016 by Dementia Friends.